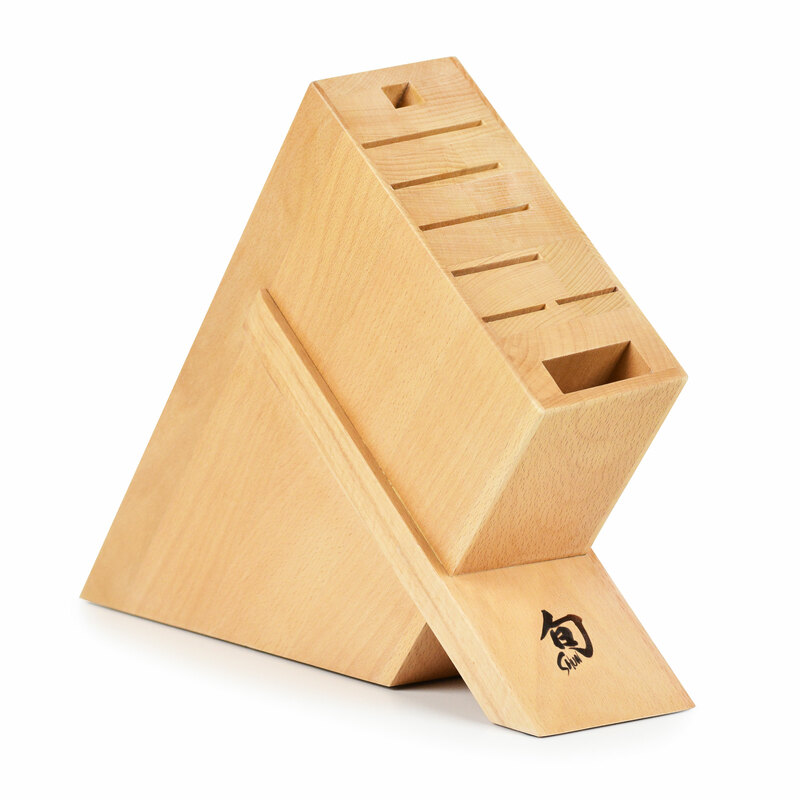 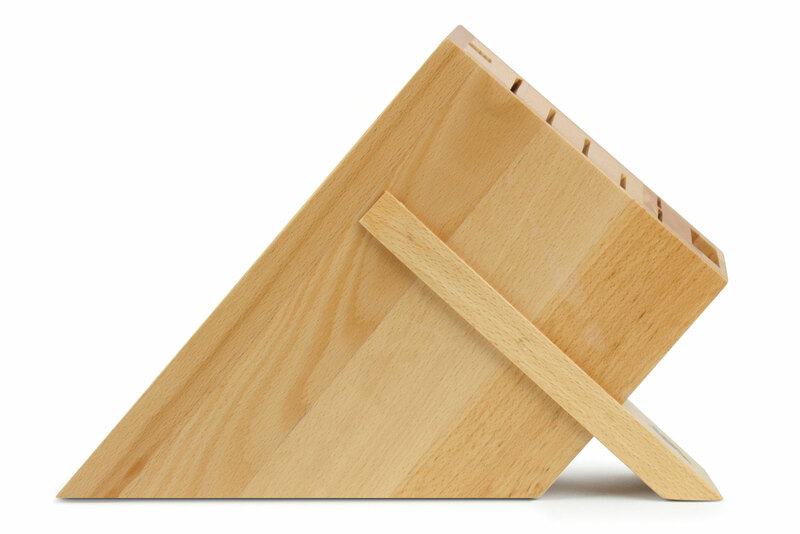 The Shun 8-slot Beechwood Knife Block helps preserve more of your counter space. 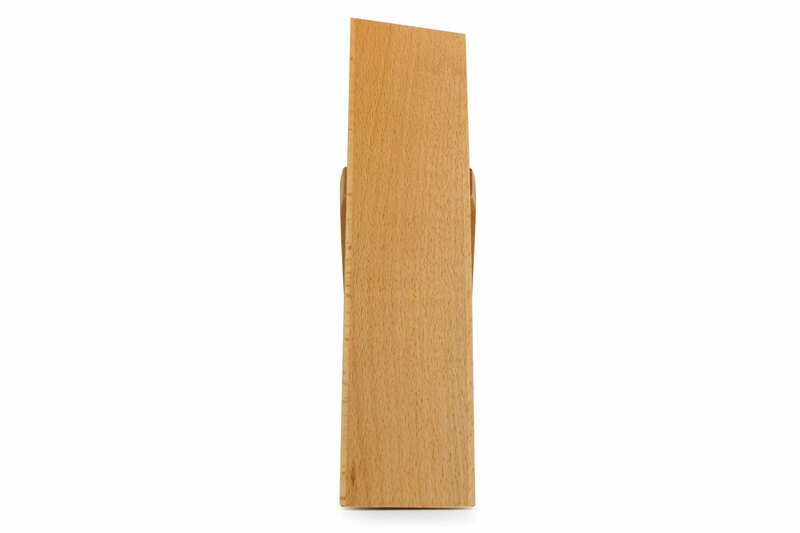 Constructed of beautiful, blond beechwood, known for its straight grain and fine-to-medium texture. 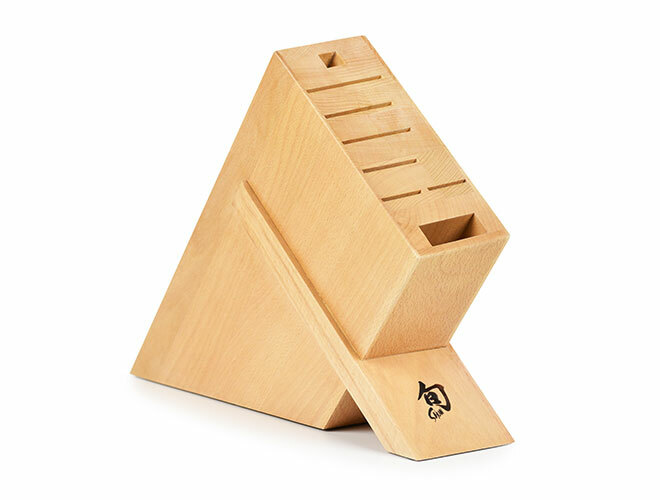 This angled block accommodates up to 8 pieces of your most-needed kitchen cutlery, including kitchen shears and honing steel. 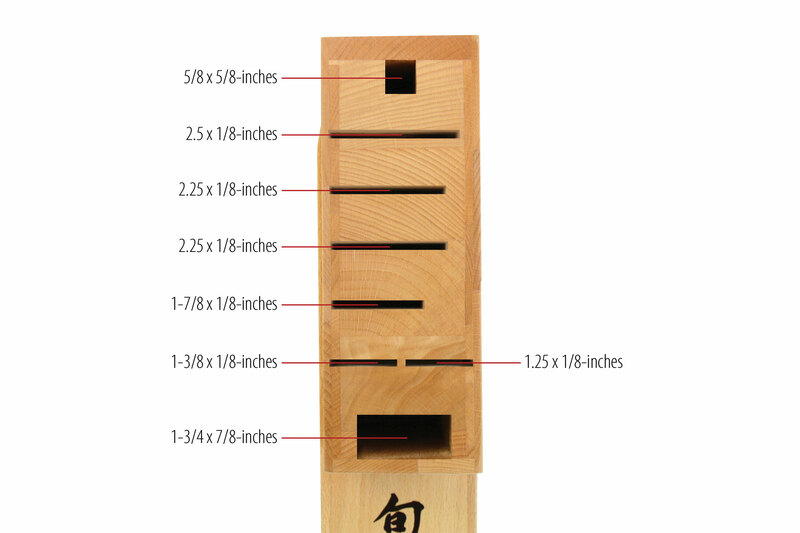 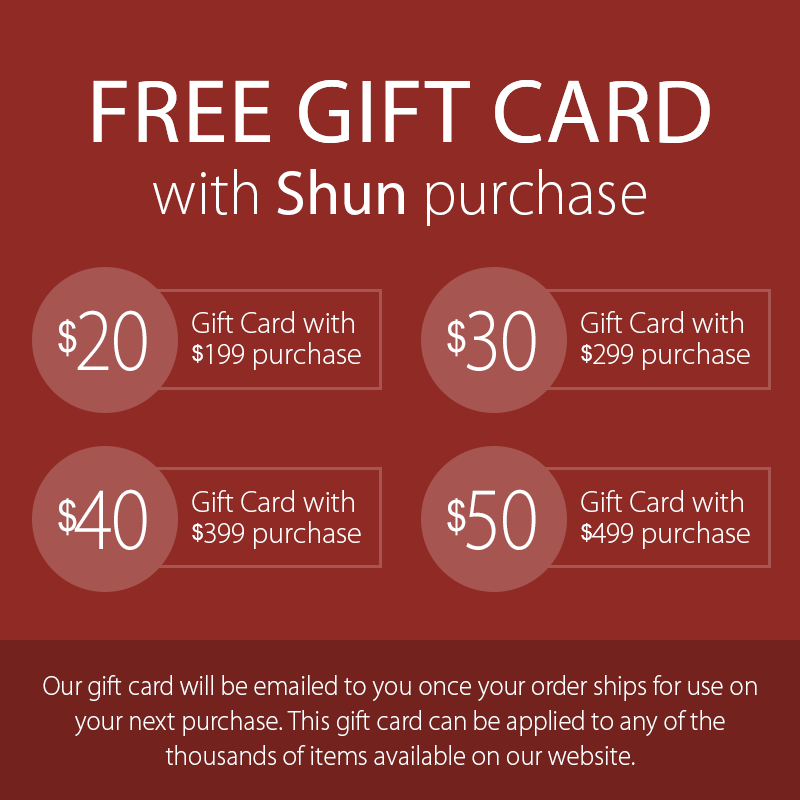 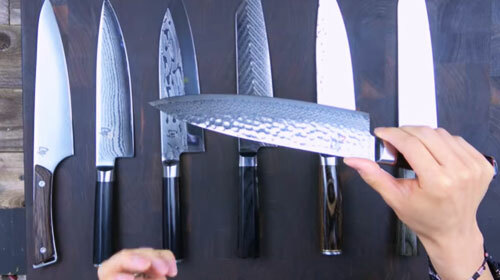 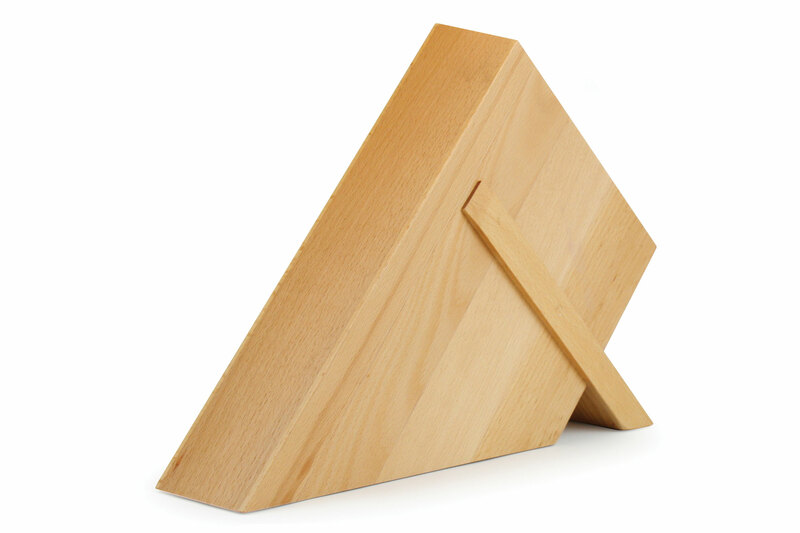 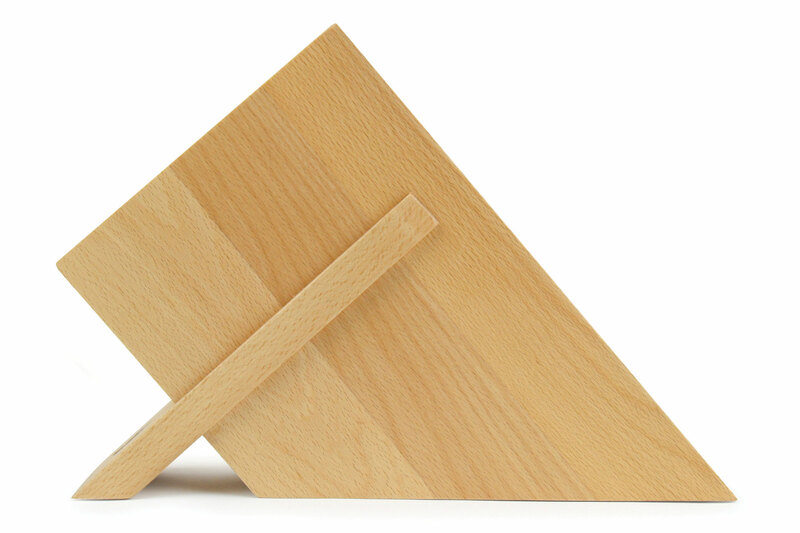 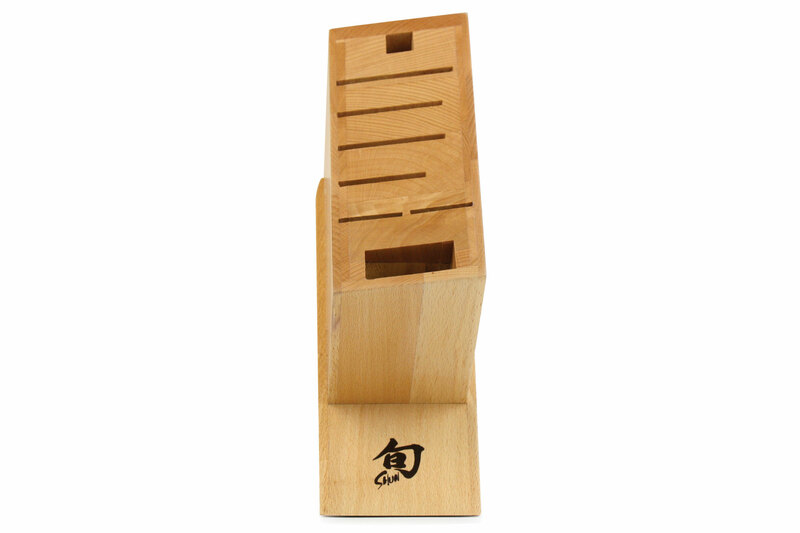 The block's pedestal is enhanced by the elegant Shun logo.